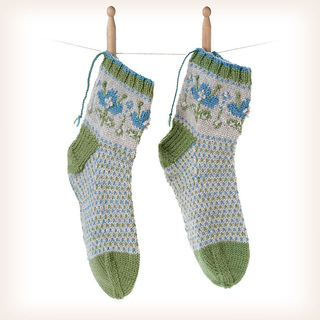 These pretty, women’s Blomma Socks — flower socks! 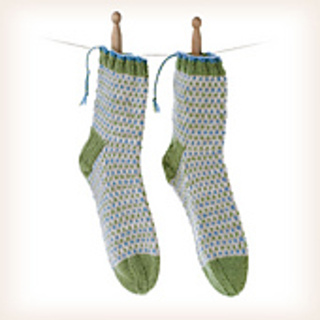 — are knitted in a light weight Double Knitting (Fine, Sport Weight) pure wool yarn, and are perfect for keeping you warm and cozy on chilly days. They are knitted in the round with five needles, from the top down, and have a short rib cuff. The charted color patterns are worked using the Fair Isle method, and simple embroidery stitches decorate the flower pattern.